Value Forward Group / News / How Many On-Site Meetings Does It Take For You To Sell a Prospect The First Time? How Many On-Site Meetings Does It Take For You To Sell a Prospect The First Time? Selling well… is managing time well. As a salesperson, every sales step you take with a prospect either shortens your sales cycle or elongates it depending on the prospect’s commitment and qualifications. To increase your income and maximize your selling time, you need to efficiently manage each prospect interaction — specifically, your on-site meetings. 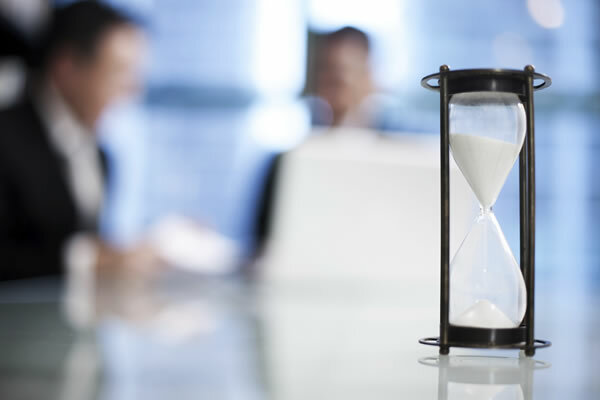 On-site meetings eat valuable selling time because of travel time to the prospect site, setting-up new appointments for prospect no-shows and wasted appointments where the buyer you wanted in the meeting does not show up physically (or intellectually). So how many on-site prospect meetings does it take to close a $10,000, $50,000 or $100,000 deal? If it takes you five on-site meetings to make a $10,000 sale, you are probably losing money on the first sale. Does on-site client meetings increase your closing ratio? Yes, but only if the prospect takes action steps during your sales cycle to prove he or she is a qualified buyer. Why do salespeople spend a disproportionate amount of time with prospects at on-site meetings? Some salespeople incorrectly believe that account visibility equals increased sales. A sales forecast may be low so the salesperson hangs on to every prospect he has and hopes prospects will buy. Often, salespeople treat prospects like customers. Prospects don’t know your value; customers do. You cannot treat prospects the same way as customers… it is wasted energy. Some salespeople lose control of their selling process and allow the prospect to control them, so they do what they are told and just keep holding meetings. Sometimes the prospect that the salesperson is talking to is too low in the organizational chart so the salesperson is actually working with a professional looker, not a qualified buyer. If you sell products and services priced under $10,000, you should have no more than two on-site meetings. If you sell products and services that are priced between $10,000 and $25,000, you should have no more than three on-site meetings. This sale is often best if sold through resellers, channel or application partners. If you sell products and services over $25,000, but less than $50,000, you should have no more than 4 meetings. If you sell products and services priced between $50,000 and $100,000, you should have no more than six on-site meetings. If you sell products and services for $100,000 or more, you should have no more than six on-site meetings for the first $100,000 of your offering’s value, and then add a maximum of one new meeting for each additional $300,000 your sale is worth. Now is this accurate? Yes and no. Yes, this is based on a business review of multiple products and services with varying gross margin contributions and the cost per sales call. No, because your business may be different. But, it does become talking points to help you understand the relationship between the raw cost of each on-site sales call you make and your productivity. You only have 20 selling days a month and when you add in vacations and holidays, that drops down to 16 days in an average month. Every day you spend on one more sales call, reduces your selling time. Every day you spend at a prospect site where you exceed the above guidelines, you are reducing the profitability index of that sale and your own income. To sell more, limit the number of on-site prospect meetings you attend based on the value of the sale. Force prospects to take action steps with you during the sales cycle to prove to you that they are qualified.